As your organisation grows and expands, so do the demands and expectations you have for your performance. Large, successful businesses understand the emphasis placed on results and achieving those results in appropriate timescales. Digital Cubed are here to provide those results, within the timescales you require. We have the experience, infrastructure and expertise to work on projects of any size and complexity and we are on hand at any time to answer any queries, listen to any changes or suggest any solutions. Through dedicated account management, regular meetings and open communication we liaise with the right people within your organisation to ensure that you are aware of how the project is developing at every stage. 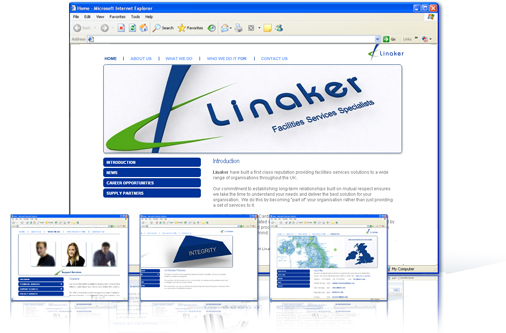 As an award-winning company, renowned for our innovative and visually advanced design work we can create the corporate image you want, combined with the functionality and services you require, retaining the business-driven cornerstones of your site. We offer solutions to genuine business obstacles that other companies simply cannot do; from large file delivery solutions through to interactive business models, we can integrate features into your site that will make the end product not so much a website, as an online business solution. Please feel free to browse out case studies and see for yourself how Digital Cubed can help your business.